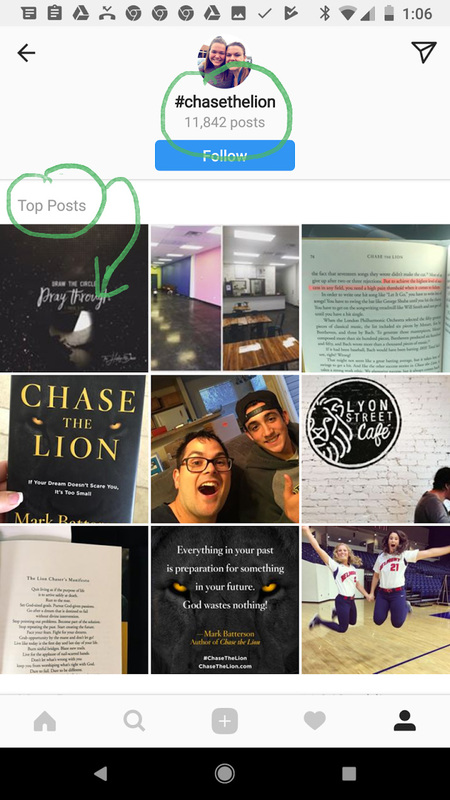 KEY TAKEAWAY → If you want to achieve similar results as me you’ll want to do everything I mention here WITHIN THE FIRST HOUR of publishing your post on Instagram. It was the key that caused my posts to reach people who do NOT even follow me, achieving 315% average engagement rate per post. Of course by using all 30 hashtags, but more importantly, by trending in the TOP POSTS spot on Instagram. It’s not that hard. I’ve been in the TOP 9 spots every day. If I can do it with only 168 followers and a brand new account, you can too. This is what the TOP 9 looks like on a computer. Here’s me in the number one for one of my bigger hashtags. You can see that there are 281,805 posts with that hashtags. This is what the TOP 9 looks like on a phone. Here’s me trending in three of the top nine spots for one of my medium size hashtags. Here’s me ranking in the top spot for one of my small niche hashtags. Pro Tip: Consider picking out a range of small, medium and larger hashtags like I did. 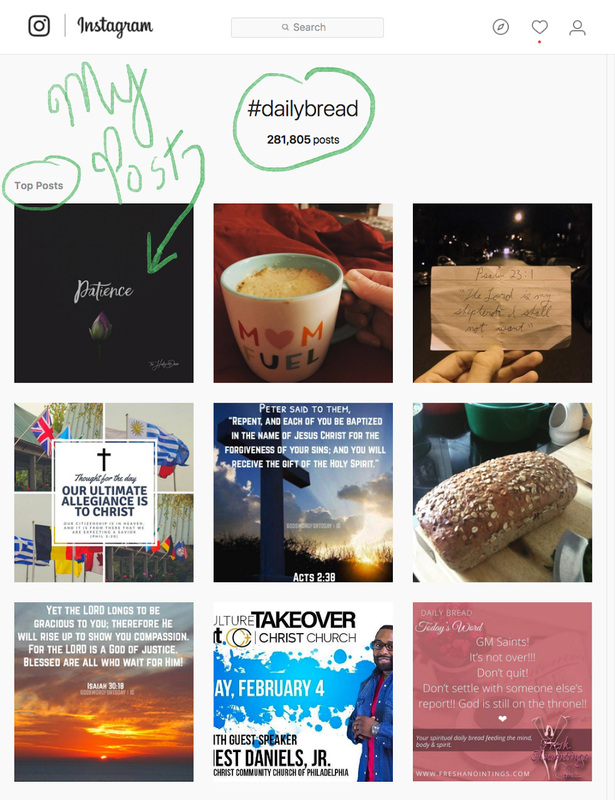 Stay between 10,000 and 500,000 posts for the majority of your hashtags. I also throw in a couple of huge hashtags (1 million+) for good measure. I don’t like the bigger hashtags though because I won’t get into the top 9 spots. Also, huge hashtags tend to be too general and won’t attract a very targeted following. 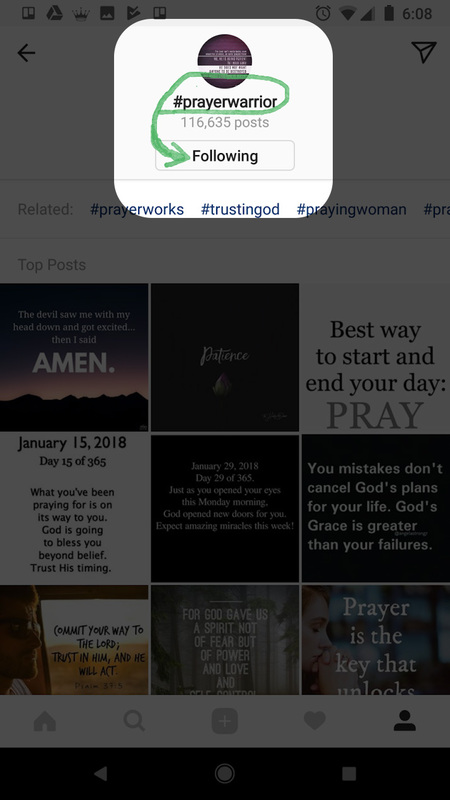 Not sure how to find the right hashtags? 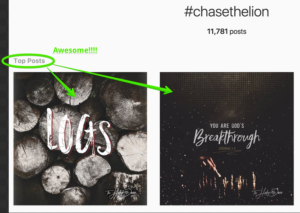 Save yourself the headache of researching hashtags by reading my article: Secrets from an Instagram Marketing Swipe File. You can FOLLOW hashtags, just like you follow people, as of December, 2017. People can see your content show up in their feed if they are following a hashtag you rank for. Also, people search hashtags for content that inspires them, entertains them, educates them, or that they want to repost to their own account. You need to encourage people to comment, like, save and share your content, as fast as possible within the first hour of posting your content to Instagram. The best way to do that is by leveraging social proof. Although social proof is the current buzzword, it’s really just a marketing principle called “consensus” — leveraged by marketers for sixty years. Consensus says: that people will look to the actions of others to determine their own actions. For example, which restaurant would you eat at? The same is true for Instagram posts. If people have already liked and commented on your post, other people will be much more likely to like/comment. Pro Tip: Shoot for 15+ likes and 5+ genuine comments WITHIN THE FIRST HOUR of your posting. This worked best for me. If you want to rank for bigger hashtags, just raise the numbers and keep an eye on your hashtags after you post, to see what ranks best for you. You can totally do this! I’ll show you how. Use this spreadsheet I created to notify your inner circle (family, friends, coworkers) after you post. 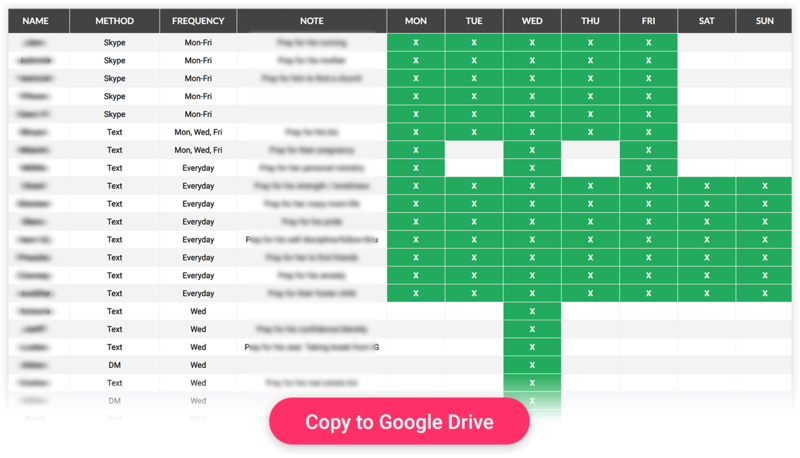 Get emailed when I update the “Notify Them” Spreadsheet (v1.1) and create new tools. 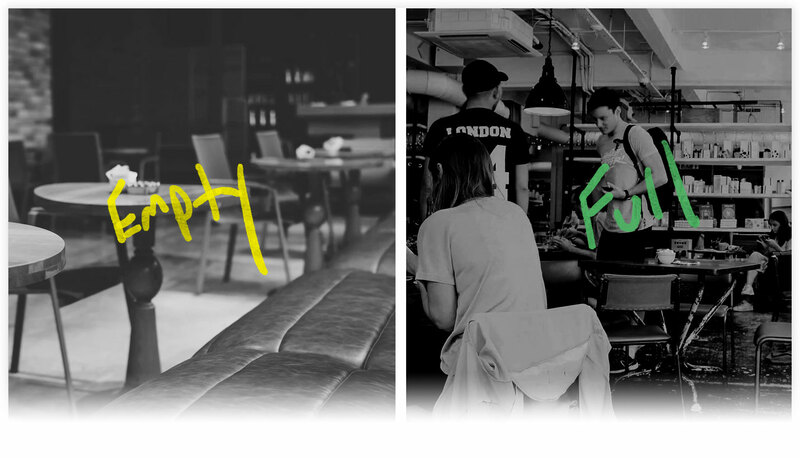 Here’s how the spreadsheet works…? Remember, it carries a lot more weight when comments happen within the first hour. Whenever possible, pick the contact method through which you know the person will respond quickly. People typically answer text messages within five minutes, whereas emails will sit in someone’s inbox for days. Group DM – just like DM, but with a few people in your crew who like to give feedback and comment on each other’s stuff. TBD – means to be determined. I put new friends I meet in my spreadsheet if they’re a good fit. But I build a strong relationship with them before adding them to the list officially. The frequency is based on your gut instinct. Typically my coworkers don’t mind me bugging them every day. However, when it comes to my friends with really busy lives, I try to only notify them once per week or when my post is very relevant to their life. Wednesday – for those I only want to notify once per week. Wednesday is typically that “peek of the weak” where people need encouragement. 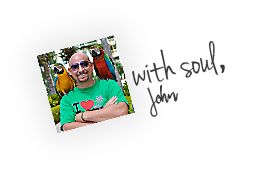 When you send your message to notify your inner circle, do NOT mass message them. It’s highly impersonal. I send them each out individually. Switch up the messages to keep things fun. This message introduced my Instagram account and educated my inner circle on the importance of commenting. I would be super grateful if you commented on them, even if it’s one word like “awesome” or an emoji comment ?. It helps my post trend and be seen by more people who wouldn’t otherwise see it .? 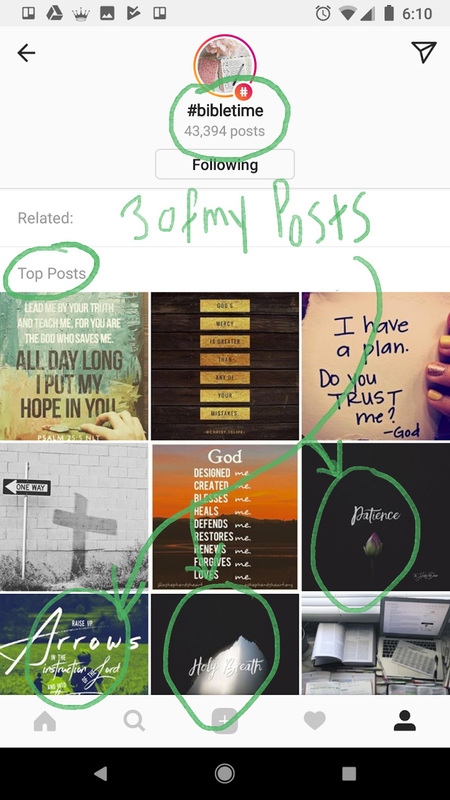 Without your help, my post will be a needle in a haystack of 800 million Instagram users. Stay warm and have a blessed day ? Thank you! Your IG comment yesterday helped my post trend into a TOP SPOT for an important hashtag ???. Pro Tip: It’s important to visually show people why their comment matters. Some people get weird about commenting/liking and they just want to creep (not engage). If you show them WHY their comment matters, they’ll be motivated to comment. If you have time, would you comment on my new post to help it gain traction on Instagram ranking? [YOUR POST LINK HERE] Thank you. I hope you’re drinking a good cup of coffee and having a great day! I’m going to keep blessing you with these posts until you tell me to stop! ? [YOUR POST LINK HERE] Have an awesome day ? Note: You’ll find these messages inside the “Notify Them” spreadsheet mentioned above. Just plug in your post URL to copy/paste them from the spreadsheet. Now Over to You: What’s your engagement tip? You can leave a comment by clicking here.